A better definition for this scam is "Excessive Charge," since this practice is not really a fraud, nor is it illegal. Most dealers are not shy about it and do indeed adequately disclose this fee on their paperwork. Many dealers even admit that this is just a way for them to recover some of their "losses" when discounting the car off MSRP. OK, so does this mean that they are really not discounting the car then? Dealer prep is just another part of the cash flow shell game, one of many that we report on here at CarBuyingTips.com. Our position on dealer prep fees is that they are just too excessive. It is even printed permanently on most car dealers' buyer's forms and is just icing on the dealer's cake. It's not like buying a warranty which gives your car extra value when you sell it. This fee is something that you need to consider up front when negotiating your new car deal. Some salespeople try to convince you that dealer prep is for the enormous effort they spend on preparing your new car for sale once it rolls off the delivery truck. Oh, really? Well let's dive deeper into just what they do to prep your car for sale. They smooth talk you trying to convince you that a team of NASA experts performed a week-long 15,000 point check of your car. 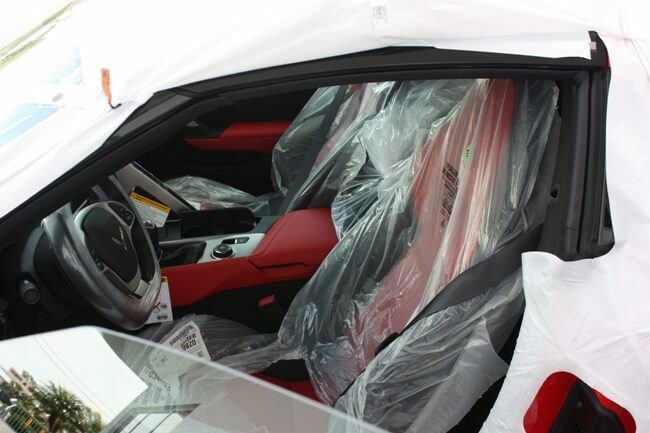 Some dealers claim dealer prep "covers their cost" of simply removing plastic covering from the seats, vacuuming, adding fluids and preparing the car for sale. Guess what folks; their total time spent on this is about 2 hours max. I've been there when picking up my new cars at the dealer the day they came in off the truck and I know first-hand how long it really takes and how much effort is really spent preparing a car for sale. See What I mean? It very clearly states on the window sticker that pre-delivery service is included. Since the factory already paid for it, I got out of paying any dealer prep on my car and so should you. If a dealer charges you a $600 dealer prep fee, then this means that you're really paying them $300 an hour for just 2 hours of work! You will often see dealer prep fees permanently printed on the buyer's order to make you think it's mandatory, but many people make the car dealers remove it by adding a credit on the next line. If they tell you it is already printed on the form and they can't remove it and "everyone pays this fee," force them to remove it by subtracting out the same amount on a blank line further down. If they won't budge, you need to decide how badly you really want that car. I have no problem walking out of a dealer over a $600 fee. Go find the next dealer on your list and tell them "Here's the deal. I don't want to pay any dealer prep fees and if you agree, the deal is yours." The same holds true for any other add-on fees.